So, it's not a secret anymore. A blogger and TPTer who I really admire is a fellow New Yorker and is a real inspiration. She has developed a niche and it is all about FLIP FLAP books. She has one for basically any concept you can think of ranging for all the subject areas! Do you know who I'm talking about? It's Anna from Simply Skilled in Second! I'll be honest. I always admired her flip flap books from a far. I never tried one because even though I thought they all looked so enticing and wonderful, I thought it would be a lot of work putting them together for my 2nd graders. But I am soooo glad that I got the opportunity to use one of her products in this project. I was really wrong! Kids loved it; it was so different for them. Plus, it did not take the effort or length of time I was afraid of it taking. Right now in Science, we are just finishing up our unit on the Earth and natural resources. It came at the right time to relate Earth Day with it too. So I requested Anna's Earth Day Flip Flap Book. When I first got the file, I saw that it was so much more than just a flip flap book. She had a few different options as to how we could use the materials. I chose to have the class do the activities and attach them onto a file folder. They had never done something like that, so I thought they would be interested in trying something different. Plus, after I saw the resources she offered for me to attach into the folder, it would basically serve as the perfect review for their science test. They could take the whole file folder home and study out of that! The Earth flap booklet is super easy to assemble. You just cut apart the letters and since they stagger in size, you just put it all together, smallest piece (first letter) on top, and the rest after it. Then you staple the left hand side. 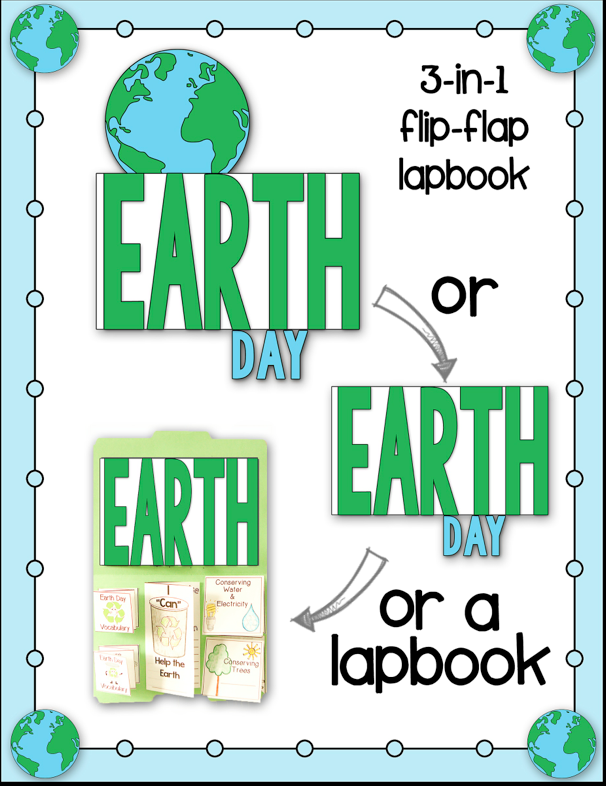 When you lift up each letter, there is an activity or writing prompt for the kids to do based on Earth or Earth Day. One was to write about how they can reuse, reduce, and recycle. Another was an acrostic poem about Earth. We did this file folder project over the course of two days. The first day was assembling the Earth Day booklet, coloring it, and completing the activities inside. The second day was putting together the accordion foldable booklets and another booklet, that they attached to the bottom half of the file folder. 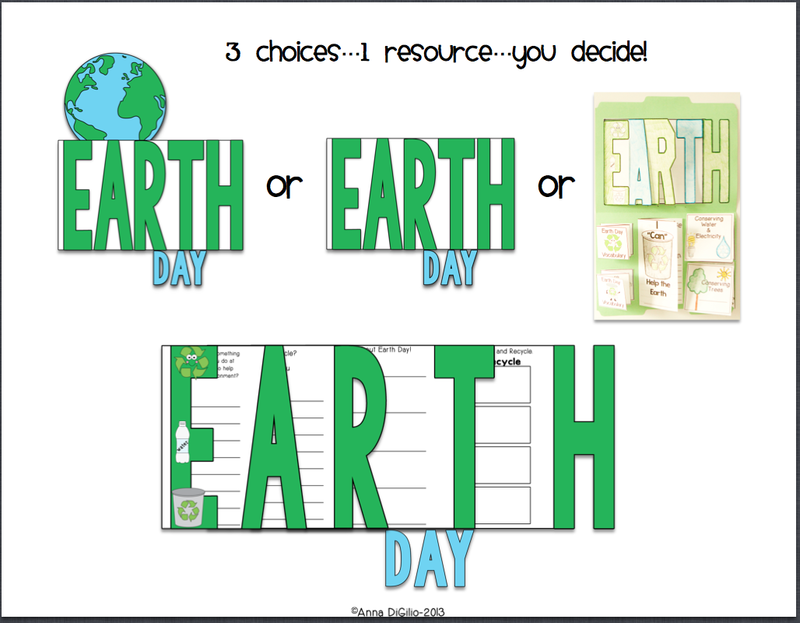 Both accordion pull out booklets was about Earth Day vocabulary. After they made the booklet, students had to cut and glue definitions of words such as reuse, reduce, recycle, conservation, and other topics to do with the Earth's resources. This served as a great assessment for me because I could see if they understood the terms just by how they matched their vocabulary with the definitions. The other booklet was called, "I can help the Earth," where students wrote and drew about how they can save the Earth by reusing, reducing, and recycling. Finally, I had them color in the word "EARTH," on the flap book. Everything came out so nice. It was a two period assignment, and the whole time they worked, they were reviewing and practicing skills they had already learned. They were able to do a variety of different and fun activities inside the booklets, and instead of going home on separate sheets of paper to get lost, they could keep it together in their folder. Oh, I almost forgot. She included a sort of a "cover page," that we put on the outside of the file folder. I loved everything about this unit. There are also some other elements that I didn't get to complete. They are called "explosion books," and although I didn't get to complete those with the students to insert into their file folders this week, it is something I will continue after Spring Break. Thank you Anna for allowing me to review one of your awesome products! 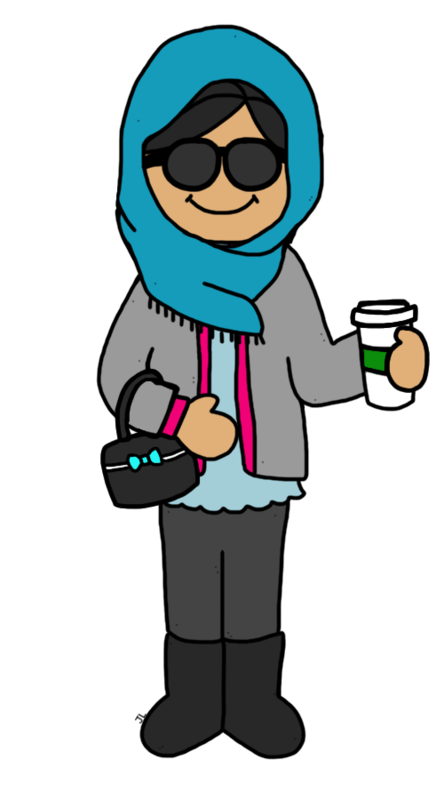 I really do admire your work, and now it won't be from a far... ;) I hope to continue using these flip flap resources for other topics. You can see the product for yourself by clicking HERE. I bought three of Anna's FLIP FLAP books just last week and cannot wait to use them next week! Thanks for sharing such a great post!